Fair. 1337614432 **PLEASE NOTE** This book has suffered **heavy water marks** in some areas that may have caused staining or wavy pages. The damage is cosmetic, however it is a useable copy. Regardless of title, CD/DVD/Access Codes or Supplemental Materials are not guaranteed. This is a U.S. Student Edition Book. This book is not a rental. Fair. 1337614432 **PLEASE NOTE** This book has suffered some water marks that may cause staining or wavy pages, however it is a good, usable copy. Regardless of title, CD/DVD/Access Codes or Supplemental Materials are not guaranteed. This is a U.S. Student Edition Book. This book is not a rental. Good. This is a LOOSE-LEAF edition textbook (same content, just cheaper! ! ). May not contain access codes or supplementary material. 2nd day shipping available, ships same or next business day. This is the U.S. student edition as pictured unless otherwise stated. Fair. 1337614432 PLEASE READ! This book WILL contain heavy wear, excessive highlighting/writing, loose binding, AND/OR water damage. Supplemental materials such as CDs or access codes may NOT be included regardless of title. Contact us with any questions! Good. 1337614432 USED US EDITION COLLEGE BOOK-Items do not contain any supplemental materials (access codes or cds) even if listed in the description or title. Books can have stickers, highlighting, writing, or tape (that could be used to mask instruct ed markings). Pages and Cover may have creases or scratches. Consumable items are filled out and completed. We ship out most orders within 1 business day all with Tracking Information. It was a really good textbook for class. It's a lot of information, and the case studies in the back are good examples. This is a wonderful book and I am so happy that I had it. 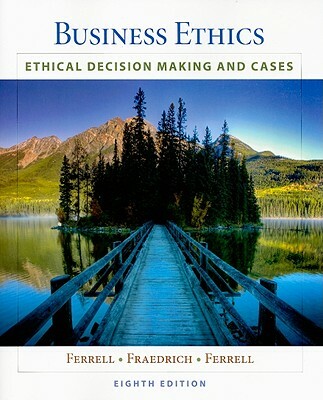 I had to create an Ethics Program and this book was able to take me step by step. The book arrived in excellent condition just as the supplier described. The books was shipped out on the 18th and I received it on the 25th, within the time frame of 4 - 8 days.